Sometimes the path of spiritual development can be a rocky road, especially if you are actually afraid of the spiritual experiences that come your way. For example, some people are terrified to meditate for fear it might lead to a psychic opening. Or perhaps you have fallen prey to a cult or charismatic spiritual leader who abused their power. Despite any perceived benefits it can be frightening to open the spiritual floodgates. It is also important to use psychic skills responsibly. People become over-awed by spiritual counselors, healers and guru figures and can be led astray. If you wish to use spiritual guidance and intuition in true service to others, it's especially important to use your skills wisely and in connection with moral values. "Do no harm," essentially. For the Highest benefit of all concerned is my motto. 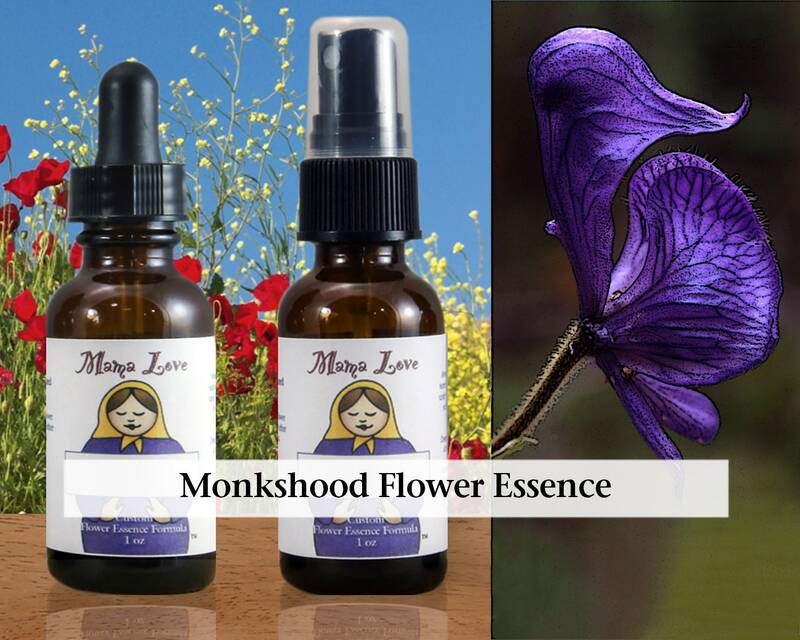 Monkshood can heal past trauma that makes spiritual opening terrifying, especially in cases of past trauma (like an unintegrated near death or past life experience) or abusive spiritual or cult experiences. It can aid in developing clairvoyance healthily and help you be a positive and courageous spiritual leader should that be your calling.